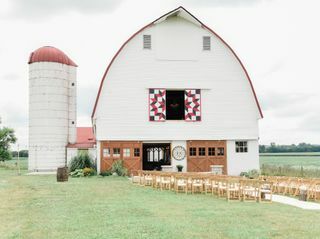 Wren Farm, located in Mechanicsburg, Ohio, is a one-of-a-kind rustic wedding venue surrounded by over 10 acres of rolling farmland and green fields. 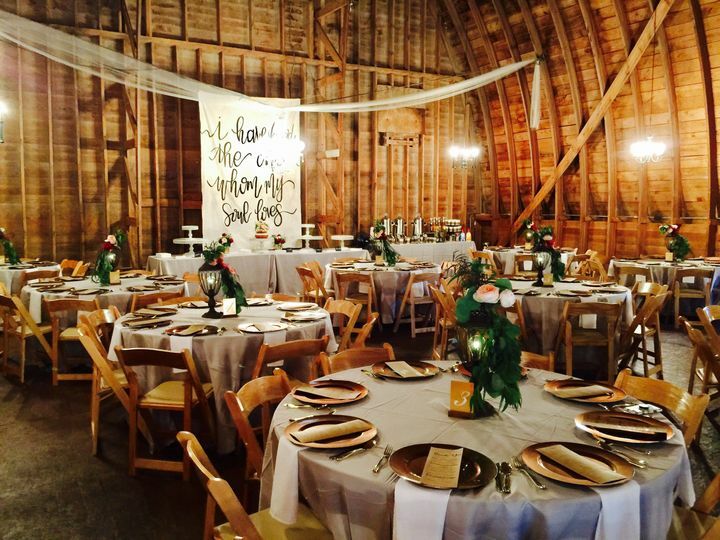 Featuring a historic wooden barn, Wren Farm is the perfect outdoorsy space for your special day. 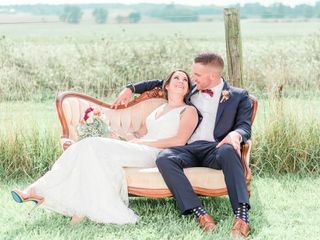 The best of both worlds, Wren Farm is a large and peaceful venue that’s only a mile away from the center of town. You will feel isolated from the public while still having the conveniency of getting into the bigger cities like downtown Columbus and Dayton. Wren Farm also has some of the most breathtaking photo backdrops. 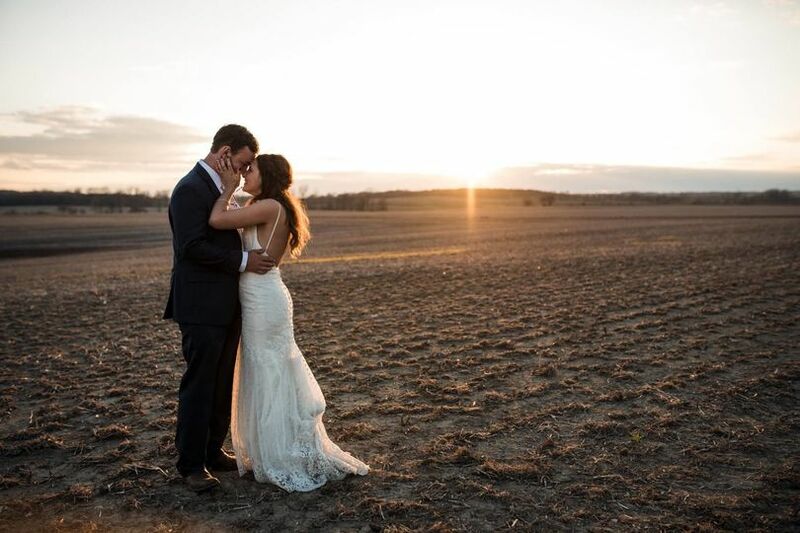 Whether you want to get a portrait in front of the sunset by the unique rolling hills or stand by the beautiful architecture of the barn, everywhere you look or stand will be alluring. 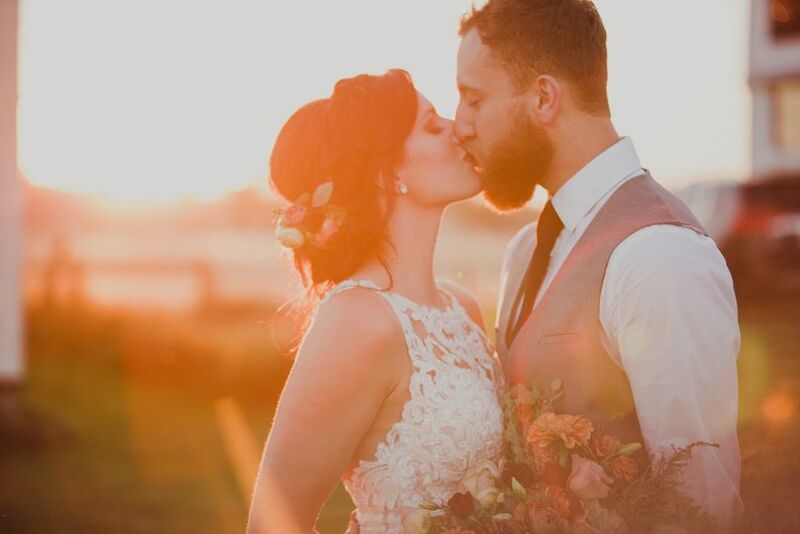 If you’re looking for the perfect vintage space with stunning views for your wedding day, look no further than Wren Farm. 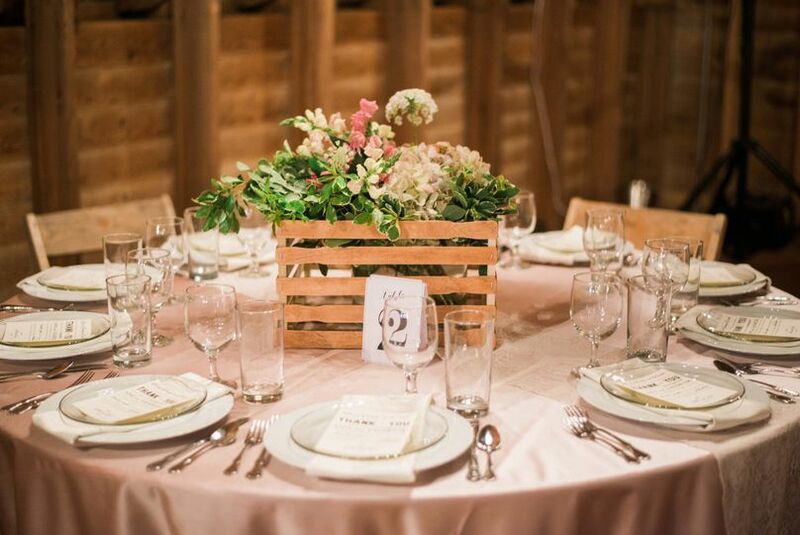 Wren Farm’s facilities would be perfect for your ceremony, reception, rehearsal dinner or engagement party. It features two facilities. They have the main indoor event space, The Barn, and the outdoor venue. Each can hold a maximum of 225 wedding guests. 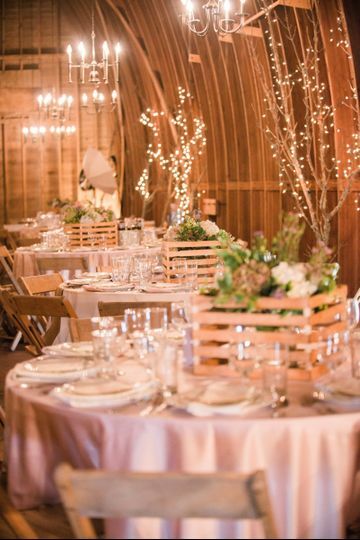 The Barn features exposed wood, hanging decorative chandeliers and a high-arching ceiling that is ideal for hanging dreamy fairy lights. 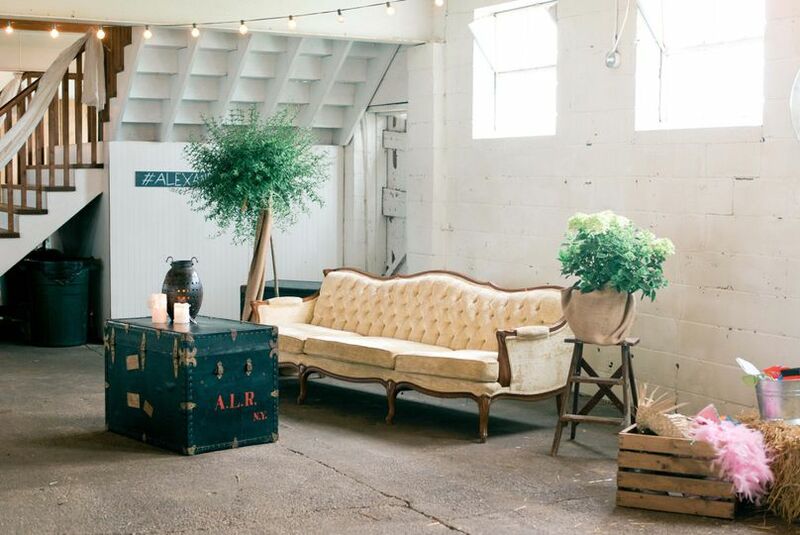 The two-level barn’s open floor plan is perfect for customized seating arrangements. Where to start? 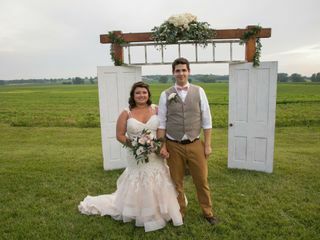 My husband and I will be forever grateful to Wren Farm for making our wedding experience so magical. I say experience because from our very first meeting, the owner of Wren Farm set the tone for our day. We fell in love with the scenery of the farm and architecture of the barn, but Elizabeth’s down-to-earth and helpful nature sealed the deal for us. Throughout the planning process she was so responsive and accommodating in our correspondence (we came to appreciate this even more as we got into the thick of planning). In our various wedding planning hiccups, we always knew we could count on Elizabeth. We were very fortunate to have Cassie as our wedding-day coordinator. But she was so much more than a wedding-day coordinator. She went above and beyond to do anything she could to make things easier on us, from running errands to detangling a massive garland to telling us to go have fun with our guests while she took care of things—and a lot of what she did we will probably never know because she did it so humbly and without being asked. Our families and wedding party members all appreciated her friendly attitude and helpful nature. And more than that, her obvious passion for making each couple’s experience special. We couldn’t have asked for more. 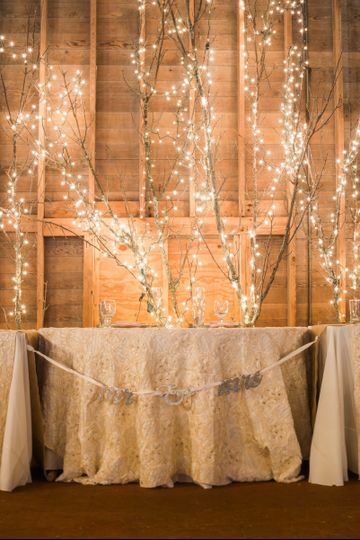 One of the wonderful things about Wren Farm is that it is a bit of a blank slate: you can decorate in whatever way reflects your tastes as a couple, you can get married inside or outside, and you can arrange the spaces in a way that works for you. 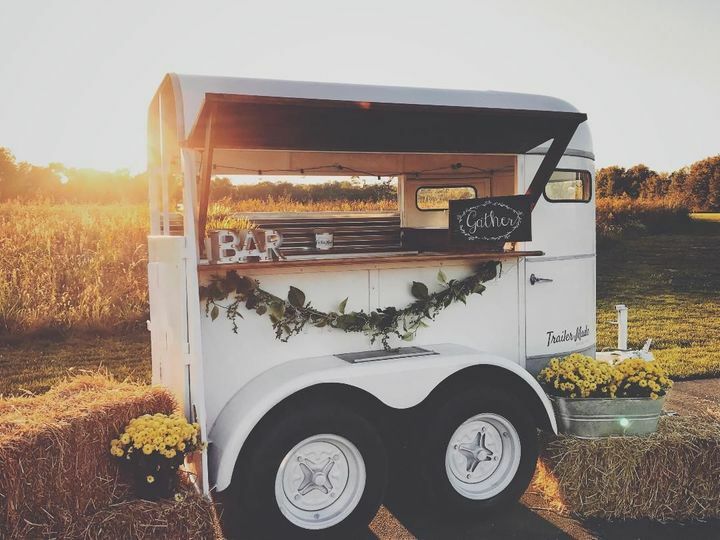 So each wedding at Wren Farm is unique. We had so many guests say “this wedding is so you.” This meant so much to us because we wanted the day to be true to us as a couple. 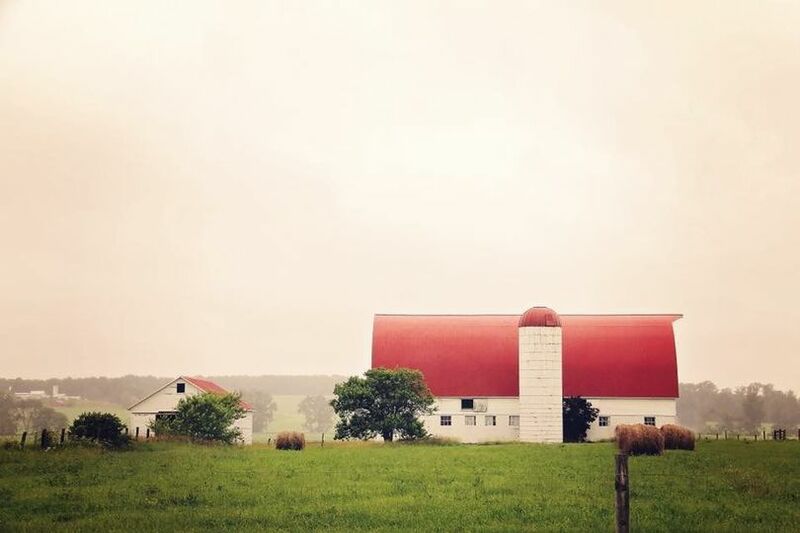 If I could have a do-over of our wedding, I would pick Wren Farm in a heartbeat for so many reasons: the event space itself, flexibility, reasonable price, but most of all for the people. 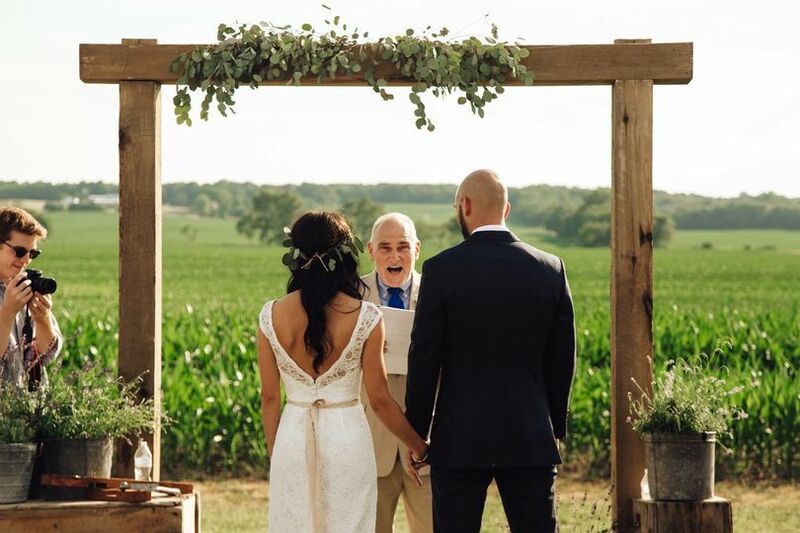 We are so proud to have gotten married at Wren Farm, and will treasure the memories we made there. 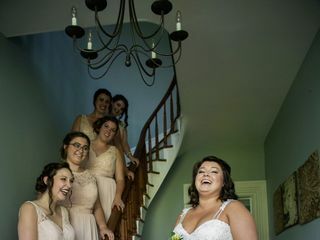 My sister married at Wren in June and it was WONDERFUL! The staff exceeded our expectations and were so accommodating. Cassie and Elizabeth truly eased my sister's nerves throughout this entire experience and we could not be more grateful. It's a gorgeous venue and was perfect for my sister's big day. Thanks Wren Farm!! 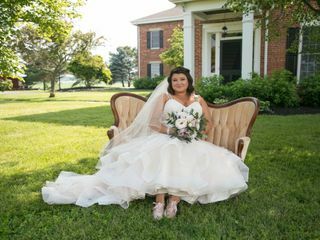 Wren Farm was an absolutely perfect venue for our wedding. It was beautiful and the staff did everything in their power to ensure our day was incredible. Having the venue from Friday afternoon to Sunday morning was awesome. 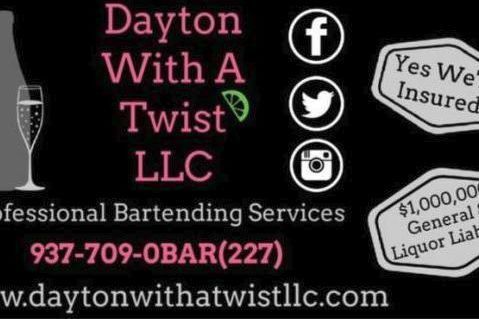 We could set up Friday and clean up Sunday, leaving our wedding day, Saturday, stress free. We loved being able to choose all our own vendors. I hope we get to return for other loved ones weddings!